Marilyn Berger has been a journalist for more than 40 years, during which she covered some of the major news stories of our time, from the Cultural Revolution in China to the brief springtime of Prague, the Vietnam peace process, and the continuing crises in the Middle East. Berger's sought-after presentations are built off of her recent book, This Is a Soul: The Mission of Rick Hodes (William Morrow), the moving and powerful story of Dr. Rick Hodes, an American doctor living in Ethiopia who has devoted his life to caring for the sickest and the poorest patients in the neediest parts of the world. 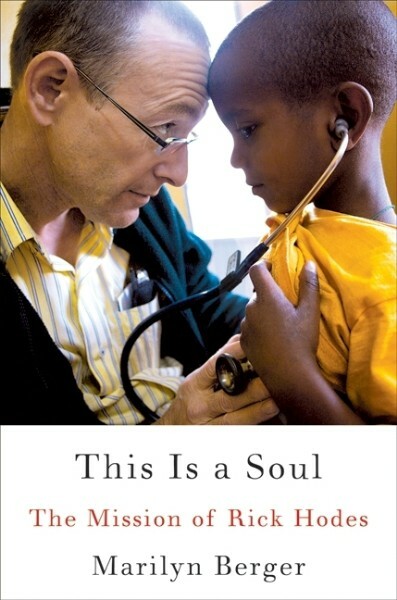 In This Is a Soul, Berger tells the remarkable story of Rick Hodes's journey from suburban America to Mother Teresa's clinic in Addis Ababa, Ethiopia. It was there that Dr. Hodes found his calling when he began caring for the sickest children in one of the world's poorest countries. But he did more than that -- he began taking them into his home and officially adopted five of them. Berger went to Africa to write about Dr. Hodes, but while there, she became more deeply involved with the story than she ever expected. When she came upon a small, deformed, malnourished boy begging on the street, she recognized immediately that he had a disease that Dr. Hodes could cure. He eventually arranged for the boy to have a complicated, risky, and ultimately successful surgery. Berger shares not just a story of the savior and the saved, but a celebration of love and wisdom, and an exploration of how charity and devotion can actually change lives in an overcrowded, unjust, and often harsh world. As a reporter for Newsday, Berger was the United Nations correspondent during the Six-Day War in the Middle East where she monitored the battles and the negotiations. She later went to Israel to see the results of a war some thought would be the last in the region, regrettably a misguided belief. Successive crises in the Middle East became her beat, and she traveled there extensively when she reported on Henry Kissinger's shuttle diplomacy for The Washington Post and contributed an article on the subject to The New Yorker. That was some time after she covered the Paris negotiations on Vietnam and was then dispatched to Prague to report on the brief springtime thaw in Czechoslovakia before the Russians invaded and scotched hopes for freedom. At The Washington Post, she reported on critical foreign trade negotiations and on arms control discussions between the United States and the USSR. She also followed American weapons developments. On a four-week reporting trip to China during the Cultural Revolution she remained the skeptic. Most reporters at the time thought the Chinese had created the New Man -- they believed they had seen their future and that it worked. Berger was convinced it didn't. The Chinese eventually came to the same conclusion. 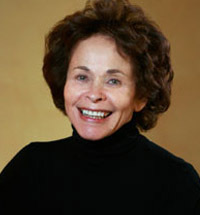 Although Berger was away from the country during much of the Watergate scandal, she did play a small part in the Post's exposé when she uncovered the source of some of the "dirty tricks" played on opponents of Richard Nixon during the presidential campaign, a story described in All the President's Men. She left the Post to go to NBC News, first to report on the Pentagon and then on the White House. She was on the panel of the Vice Presidential debate between candidates Bob Dole and Walter Mondale. Berger was a moderator on the public television program The Advocates, and did a five-part televised interview/profile of Lillian Hellman. During a major newspaper strike in New York, she anchored a nightly news program on WNET to provide news-thirsty New Yorkers with information both political and cultural. She was also director of programs at the Council on Foreign Relations. Berger briefly taught high school English and history after graduating from Cornell University. She holds a master's degree from the Columbia School of Journalism. Her early education was in New York public schools in Brooklyn. "Eminent journalist Marilyn Berger's chance encounter in Ethiopia with a severely disabled child begging on the streets of Addis Ababa proved life-changing for both. This is a Soul is a fascinating, richly moving and emotionally powerful book." "There isn't a living physician whose life and quiet heroism I have admired more than the subject of this extraordinary book. Rick Hodes cares little if the world knows of his work, and yet he has much to teach the world about an empathic civilization, and how boundaries and nationhood are meaningless in the face of suffering. Marilyn Berger has more than done Rick's story justice, avoiding hagiography, while giving us the Rick I know and love: the astute clinician, the incredible adoptive father of five children and unofficial father to so many more, the teacher, joker, scholar and most of all a man who quietly lives his faith. This Is a Soul is a powerful, important book for our age." "Berger ... writes with an urgency ... We see how [Dr. Rick] Hodes not only heals the children who come to him, but also gives money for food and bus fare to their parents; finds U.S. doctors to perform surgeries, often gratis; raises money for the children's airfare; and locates American families to host them before and after hospitalization." "Marilyn Berger's story fulfills our dream that there still is caring in the world. Rick Hodes's overwhelming devotion to saving children with little or no hope of survival is stirring. And, inspired by Rick, her own decision to save a child has transformed her life. The story she tells might transform yours." "This is a miracle of a story! Marilyn Berger zeroes in on Ethiopia's terrible poverty and social injustice, felt most acutely by defenseless children, while also revealing a remarkably deep vein of humanity. Dr. Rick's heroic mission to come from America, not just to cure, but to provide a family for as many orphan children as he possibly can, is inspirational. And in a surprising twist, Berger's own discovery and developing relationship with one of the little patients is deeply moving. A must read that will melt the heart!" "Dr. Rick Hodes's life story is a reminder that giving is a privilege in which we may take pleasure, not some saintly endeavor. His approach toward medicine should be a model for our current Western system in showing that tending to the soul is at the center of healing. This is a Soul envelops the reader in Dr. Hodes's indefatigable light and is an inspirational reading experience."